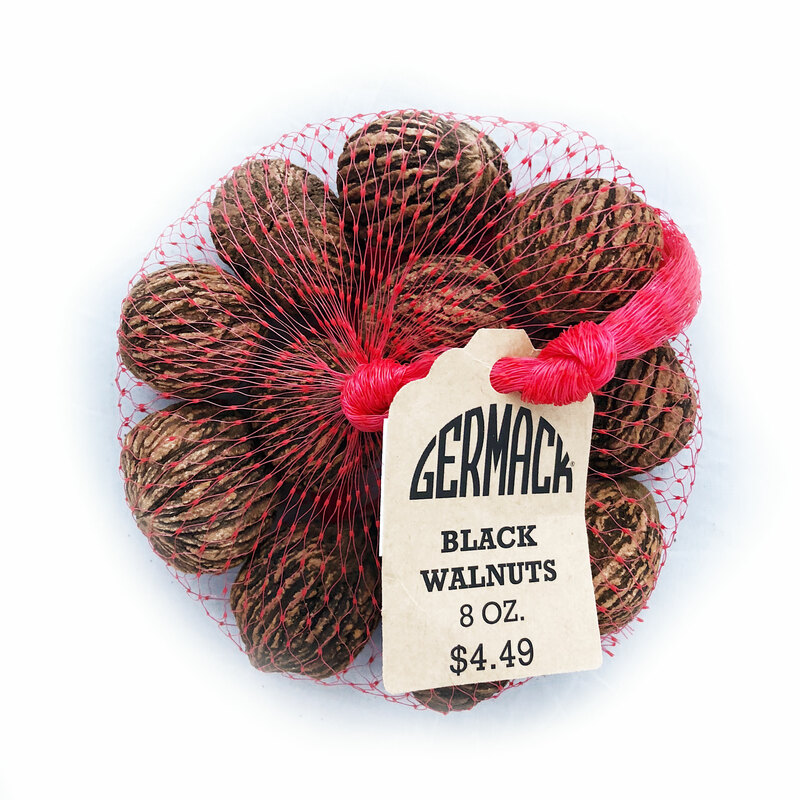 Black Walnuts In-Shell - 8 oz. Enjoy our black walnuts after cracking open the shell youself! Different from English walnuts, these black walnuts have a bolder, earthier flavor and are tougher to crack.